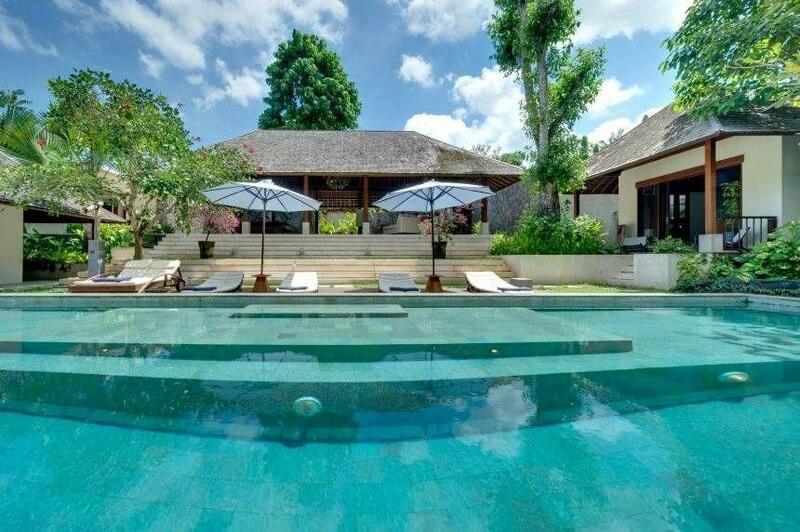 Built in a traditional Balinese style using some of the best modern materials, Villa 3255 provides a luxurious environment to relax and unwind in tropical Bali. The outlook is to padi fields across the River Pangi, which winds its way though Pererenan village and then westwards 1 mile to the ocean. Bunga means ‘flower'; enjoy a cocktail at sunset surrounded by flowers in the landscaped garden with the gentle sounds of the river in the background. 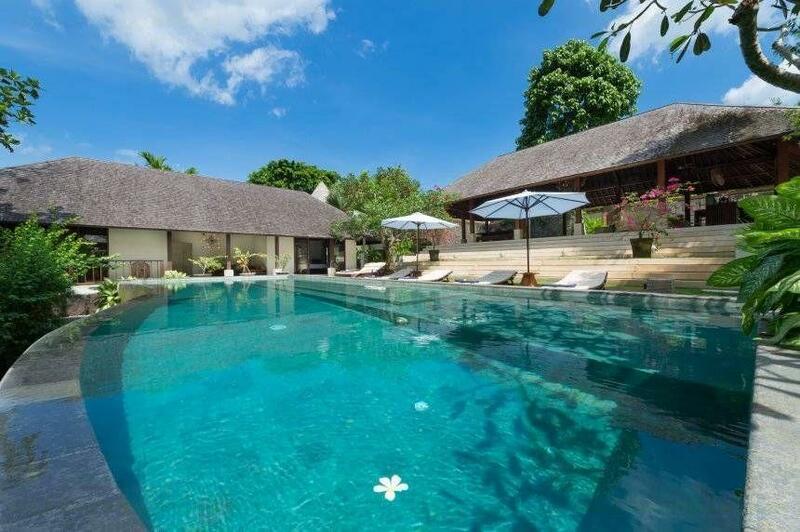 The main pavilion has a dining area for 8 to 10 guests, a sitting area that gives you a full view of the Villa, and a fully equipped custom bar. Conjure up your own cocktails and relax to your own kind of music on the iPod compatible hifi, or have a party and let our friendly staff prepare the food and drinks for you. 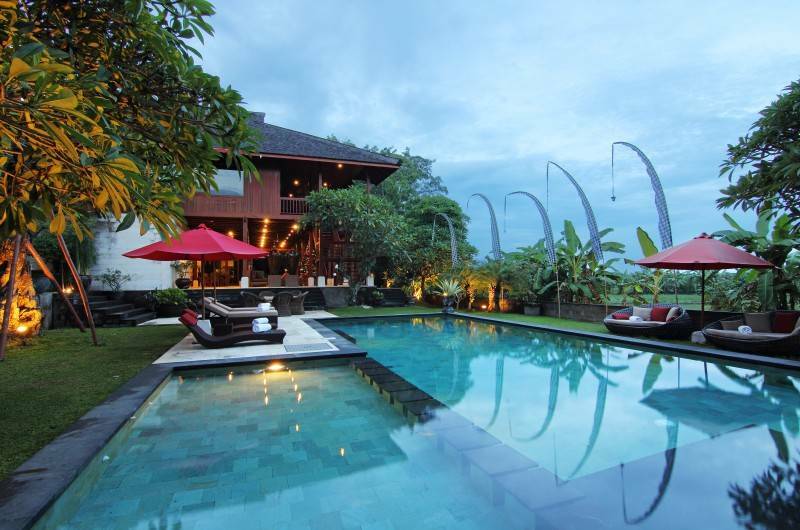 If you are planning a wedding , Villa Bunga Pangi is a perfect exotic location for the ceremony and reception. For your entertainment, the air conditioned multi-media room will satisfy your needs with a 52 inch flat screen TV, surround system, Indovision (Cable TV) and DVD player. Have a browse through the DVD library or, if you've brought your own entertainment, you can hook up your laptop to the TV using the pre-installed cabling. Should work find you on your break there are 2 desks allowing you to benefit from Blueline wireless internet access. 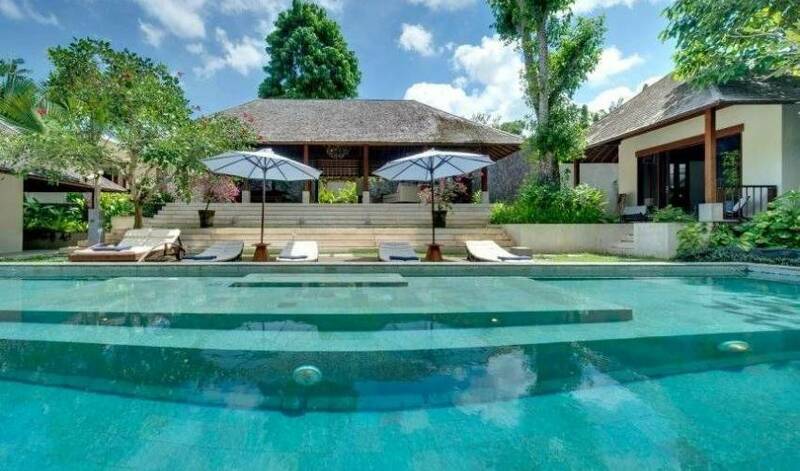 You are welcome to use the modern cooking facilities, but the Villa chef Nyoman is a skilled chef and can prepare most international dishes as well as tasty local Indonesian food. 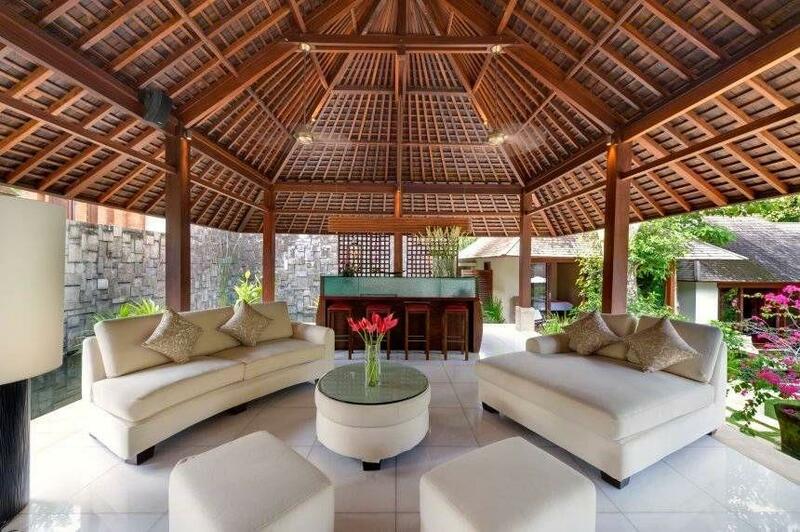 You may select your own menu, or have Nyoman suggest a Balinese experience. In either case he takes care of everything from going to the market to presenting the food on your table. Or you may prefer nights out to visit the many excellent restaurants within 20 minutes drive of the Villa. 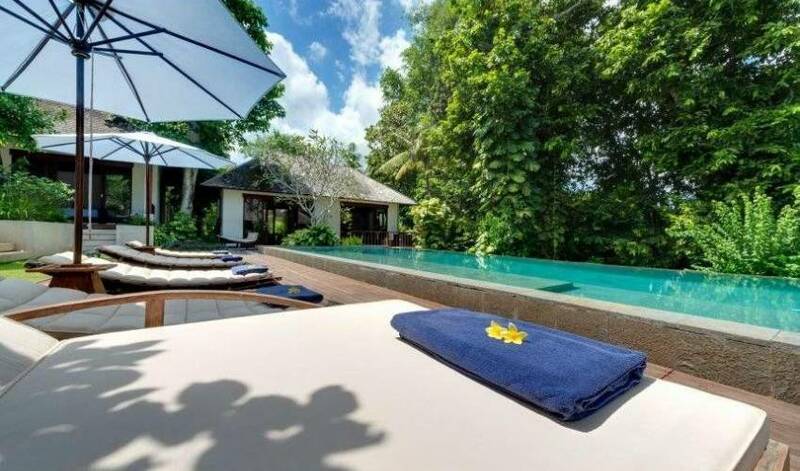 Dotted around the Villa are various seating areas, each providing a comfortable spot to cosyup with a good book, games or simply chilling out in shade listening to the river and the gurgle of the water. 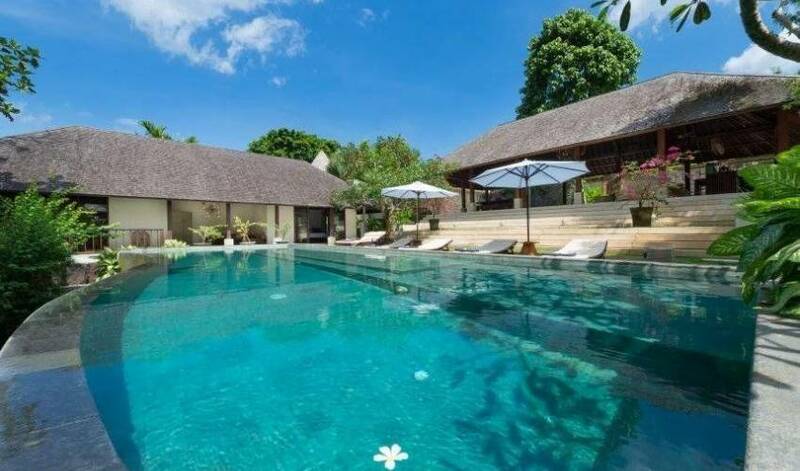 Villa 3255 is supported by a carefully selected team of trained and experienced staff whose ethos will ensure that guests experience a truly enjoyable stay in Bali. 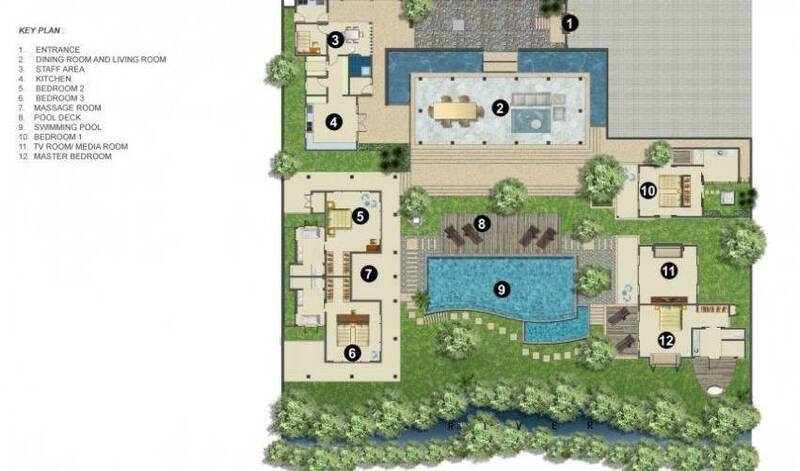 The team includes an in-house chef, 2 housekeepers, a gardener, pool maintenance and security guards. 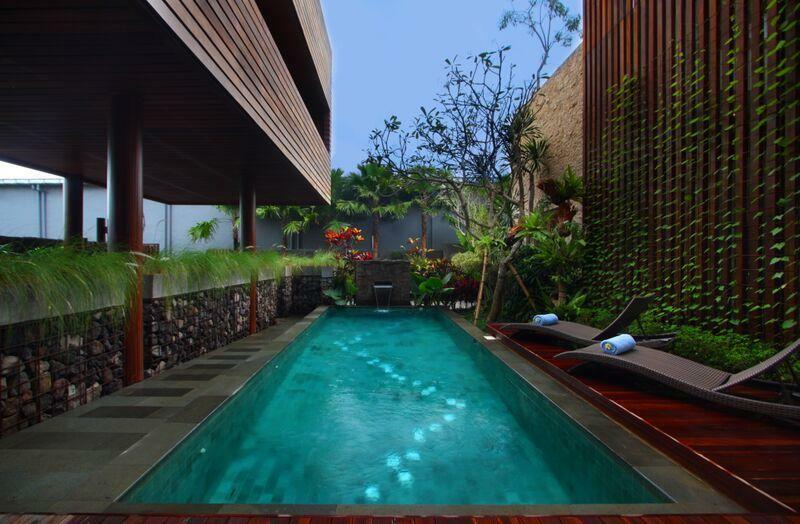 These are backed up by the management team from Bali Luxury Villas. 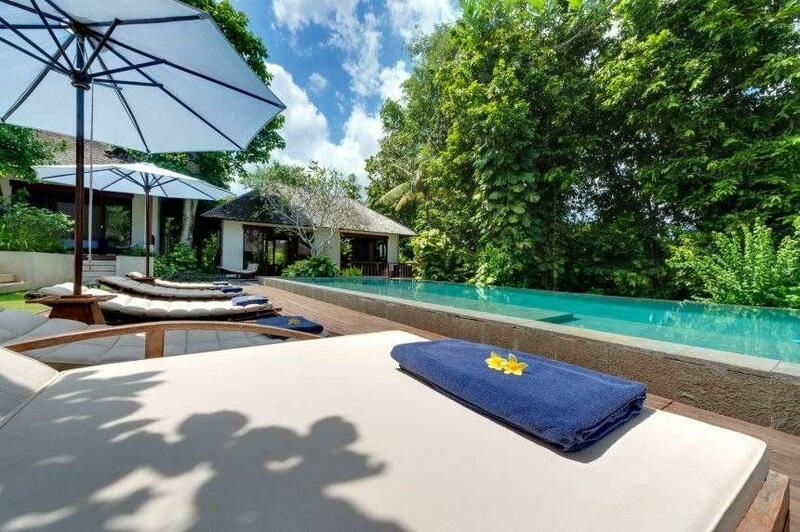 The area villa manager Tuhu has many years experience in the industry and is dedicated to the task of making your stay equivalent to that of a 7 star hotel. 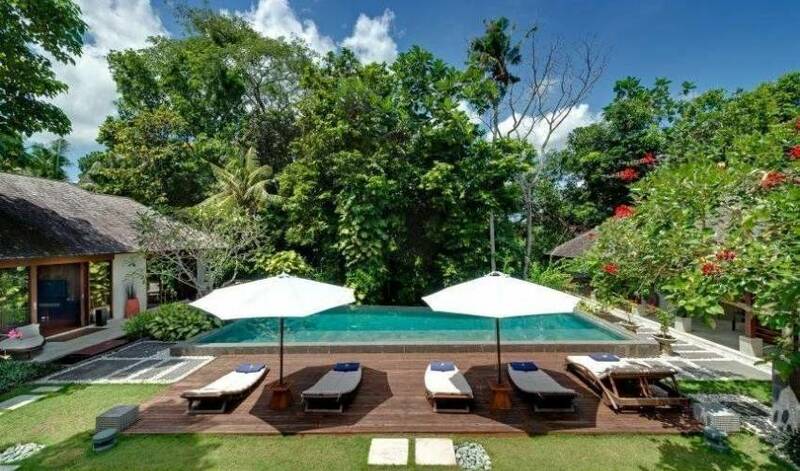 Villa 3255 is located in Pererenan next to Canggu and is approximately 20 minutes drive to shopping, restaurants and nightlife in Seminyak and Kuta. The local surfing beach is 5 minutes drive or 20 minutes walk, and it is a 20 minute drive to the famous temple at Tanah Lot with spectacular sunsets. The airport is 30 minutes drive, assuming light traffic. Preparation of meals inclusive in rates. Cost price of food and drink is an additional charge to the guest. Guest is requested to inform chef in advance of meal requirements. Car rental (including driver) can be arranged by villa management at preferential rates. Wireless internet access is available with Blueline vouchers from Villa management. The Blueline service is island wide with many access points - not restricted to Villa location only. 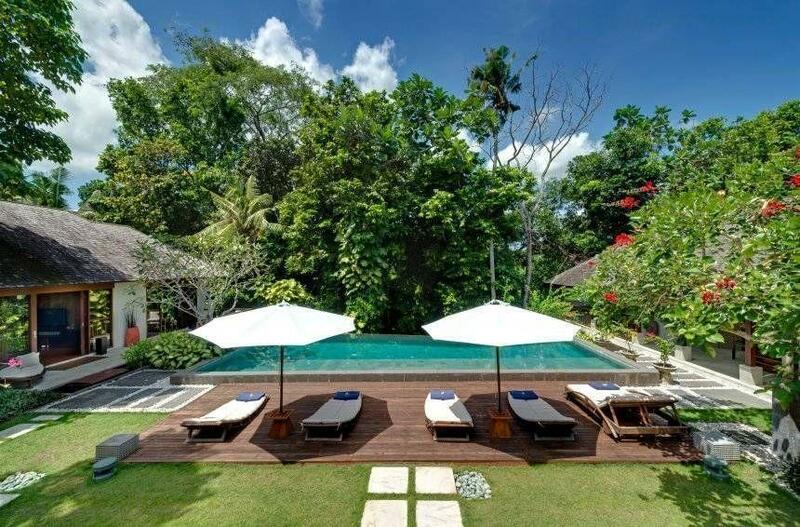 The Canggu Club offers short term membership to visitors for access to their sports facilities including gym, tennis, badminton, squash, swimming etc. 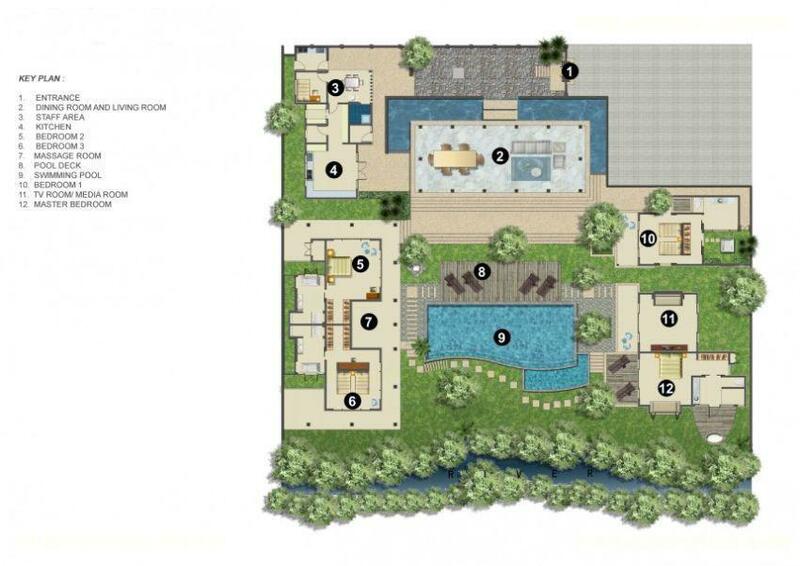 Villa management can provide contact info so that you can enquire rates. 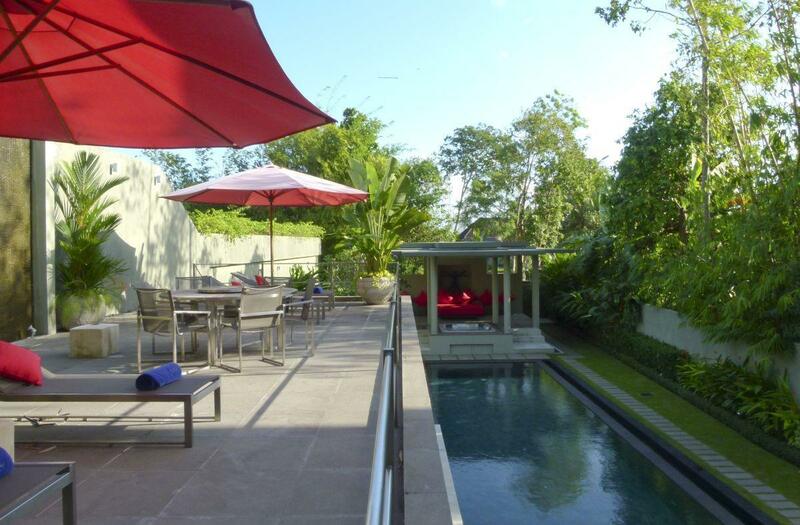 Baby sitting service by arrangement with Villa management.